This month, there has been a reunion going on at Master Toddy’s. Old and new students of his from around the world were invited to come and train with him and his special guests from the 1st – 14th of the month, something which he plans to make an annual event. This year, those special guests included the legendary Dieselnoi Chor. Thanasukarn, Ajarn Barry Norman (head trainer of Sor. Thanikul Muay Thai in Newcastle, UK and a student of Master Toddy’s since the 1970’s) along with a team of his family and students, and Ronnie Green. Since I first started training with Master Toddy, I’ve heard story after story about Ronnie Green and what a fantastic fighter he was. After spending so long hearing so many great things about him and watching all the fight footage of his that I could find, I was very excited to meet him and to have the opportunity to train alongside him here at Master Toddy’s Bangkok gym, 37 years after they began training together in England. For those of you who aren’t familiar with Ronnie, he is a pioneer of Muay Thai from the UK. 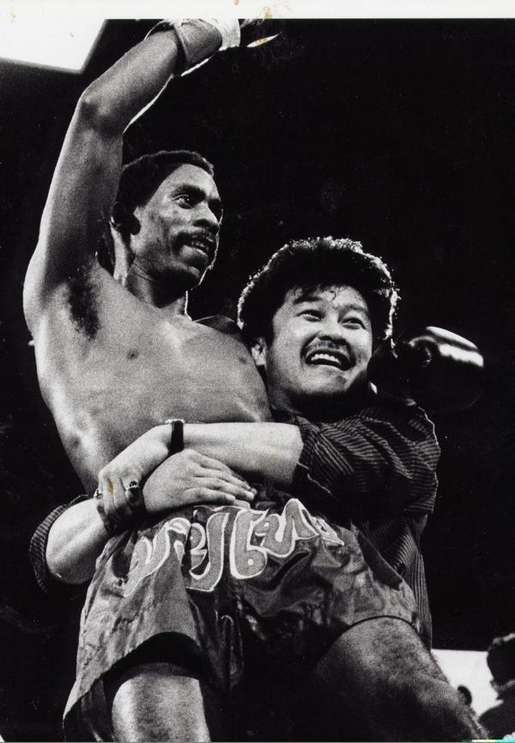 He began training with Master Toddy at his gym in Manchester in 1977 and went on to fight around the world, including Thailand. He was one of the first to come out to Thailand and not only fight the best, but to beat them. This started from his very first fight. As an unknown, inexperienced UK fighter who started to beat Thai champions, he quickly became known around the world, also fighting in Holland, France and Japan as well as Thailand and the UK. Thai opponents of his included Sombat Sor. Thanikul, Sagat Petchyindee, Noppadet Sor. Rawadee, Samaisuk and Longkeada Muangsurin. He had just under 90 fights in total and became 6-time world champion in 3 different styles at 3 different weight classes (between 58 and 63kg). 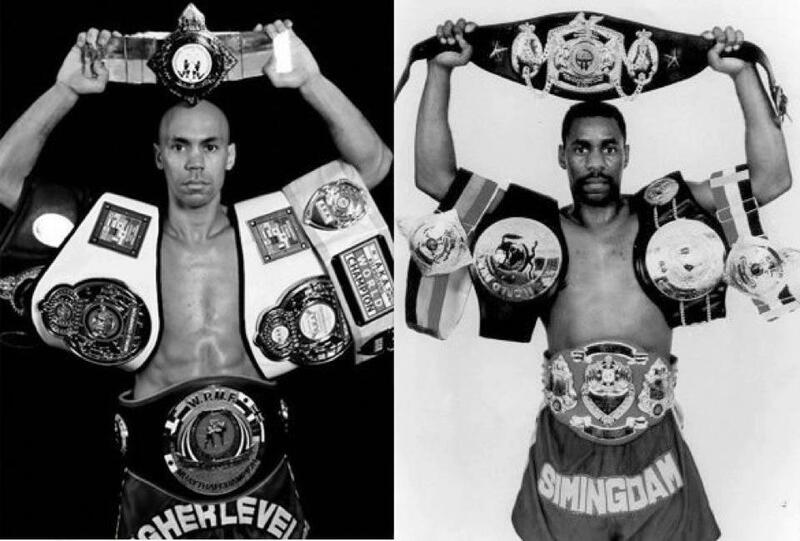 He was the first fighter from the UK to do what he did and the first British world champion of Muay Thai. The legacy of his career lives on in the UK with the Golden Belt fight promotion, which he established in 2003, and the Ringmasters tournament, which was set up in his honour. The first thing that struck me upon meeting Ronnie for the first time was how incredibly humble he is. Despite being such a symbolic figure for UK Muay Thai, he displays a huge amount of humility. 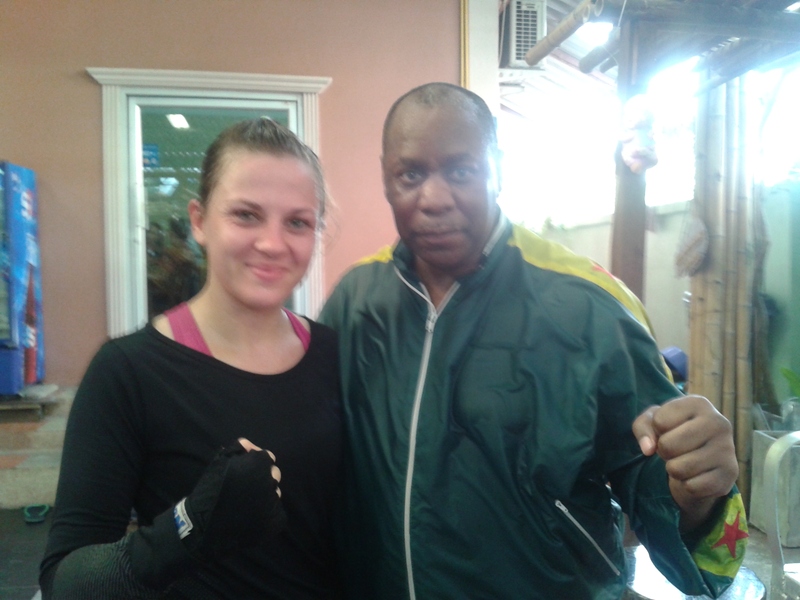 He kept himself in the background, watching us all closely during training, but when he was called upon, he couldn’t do enough to help everyone in the gym, providing padwork and sparring every day that he was here. Below is a video if him and I playing around with some technical sparring. While he was here, Master Toddy took the opportunity to do some padwork with him for the first time in over 30 years. In the video below, you can see some wonderful footage of that, mixed in with some shots of them training back in England all those years ago. It’s really lovely to see. He was wonderful to talk to, not only because he has such a wealth of knowledge and experience, but also because he has such a warm, genuine personality and a great sense of humour. I was eager to absorb as much as I could from him during his time here and was delighted when he agreed to let me interview him. He’s very passionate about sharing his experiences, not for the sake of fame or showing off, but to use Muay Thai and other martial arts as a tool to help others, specifically the youth of the UK. He is currently working on some projects to do just that and in his own words, wants to ‘show what the Eastern arts can do and have done for British people, just as Master Toddy did for (him)’. He speaks of his dislike for the egos and ‘tough guy’ attitudes that are often found in Muay Thai in the West, and his strong belief that martial arts are all about respect and kindness. These are certainly two values that are abundant within Ronnie, and I’m very glad to have had the chance to spend some time with him. It was enlightening to hear about his experiences of training with Master Toddy and fighting in Thailand so many years ago and to compare those with my own. His career was truly special. We covered a lot of ground during our chat. Subjects he talked about included his experience of fighting in Thailand, what it was like to be the underdog against so many top-ranked Thai opponents, being one of the first foreign fighters to do that, his experience of training with Master Toddy both then and now, how Muay Thai in the UK has changed over the years, how Muay Thai has affected his life overall and how he wants to share it with others now. He had a lot of great things to say about Master Toddy and his relationship with him. We also mention his son, Lee Green, who has followed in Ronnie’s footsteps. The picture of them both below illustrates just how. The interview is rather long, at an hour and a half. Anyone who’s ever spoken to Ronnie will know that he’s a talker, and it’s great. If you ask him a question, he will never answer it succinctly or directly, he will always tell you a story. It sometimes sounds like he’s talking in riddles, but he just has so much to share. In that sense, it’s not so much of an interview as it is just me listening to Ronnie tell his tales. Towards the end, you’ll also hear my training partner Tu Warren as he didn’t realise that I was still recording. I chose not to edit that part out because he brought up an interesting point about how many who come to fight in Thailand aren’t entirely honest about their match-ups. This is something that Sylvie von Duuglas-Ittu wrote about in her last post, ‘The Reality of fight Matchups in Thailand‘. Also, at around 1.20min, we talk about Ronnie’s two fights against Sombat Sor. Thanikul. I wrongly mention that one of those fights was in the UK while the other was in Thailand. In fact, they both took place in the UK but the rematch was broadcast live to Thailand. This was the first time that had ever been done. You can play and download the entire interview in mp3 format here, or use the player below (it may need a moment or two to load). If an hour and a half is a bit long for you, here are a couple of chunks in video form. I wasn’t able to get the entire thing on video, so the only full version is in mp3 form. Finally, below you can enjoy a Youtube playlist of some of Ronnie’s most notable fights. This entry was posted in Interview and tagged interview, ronnie green. Bookmark the permalink.